Today became an excruciating day, we started at 0800 and went home at 2100 but it was rewarding; we described and took GPS coordinate points to make polygons etc on maps at three croft ruins, three fossilized fields and one abandoned farmstead with a medieval heritage. Though now I feel beat; a few cold ones and then I’ll hit the bunk. The archaeologist who went up a church ruin but came down a cairn. 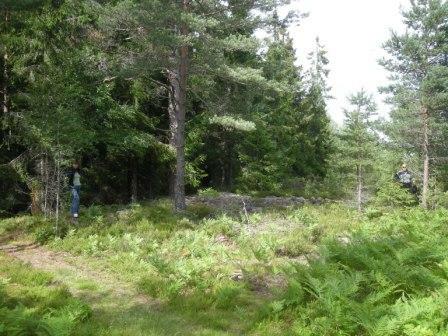 My father use to hunt Elk, when I was a child the hunting grounds where in Roshult (Röshult), Habo parish, Vastergotland. This is some miles west north west from Jonkoping, where I grow up. 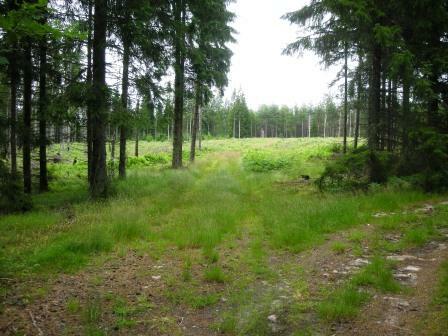 My father and some hunters used to take a caravan and live out there for a few nights during the hunt. 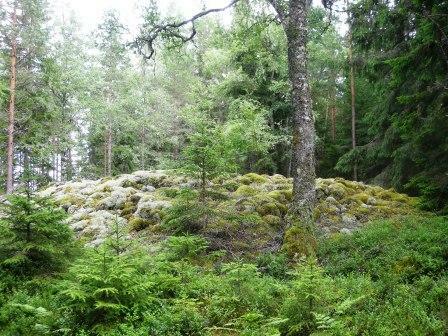 It is very possible that the visits I did there as a child is one reason for my interest in history and prehistory. Approximately 50 m straight ahead, they used to put the caravan. Then the trees were very younger and was so dense that they formed walls on each side of the way, has now much of the forest has been cleared which gives the area a brighter look. 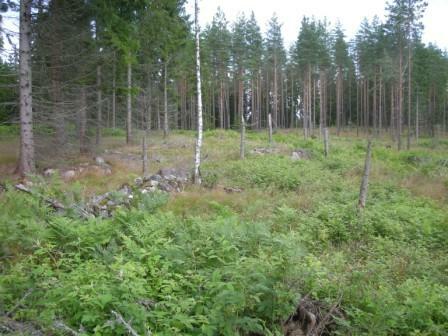 In the area are several ancient remains, prehistoric graves, fossilized fields, ruins of farmsteads etc. and when I was young I was told several stories concerning these monuments. Some true other fairytales though they caught a young boy’s ear. There where stories about ghosts; old wagon that rolls on long-deserted roads, sighing, screams, groaning, etc. One story concerned the ruins of a church that was abandoned due to a plague during medieval times, another about local thing place or a court place, where judgment fell on local thieves and where disputes were resolved and possible paid in blood. 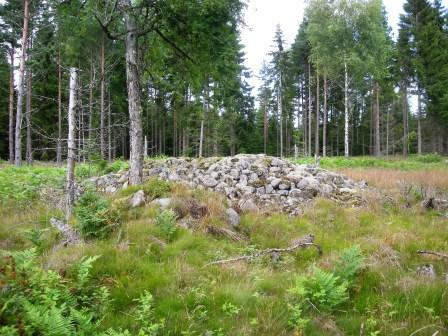 This weekend I returned to Roshult to seek out some of the remains I remember from childhood. Though this time I come with the knowledge of an archaeologist and I see the remains with somewhat other eyes. I also did some research so I know what was waiting me. 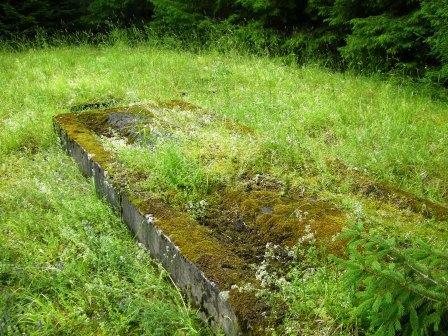 First we visited the ruins of the farm Roshult abandoned in the 1950’s. The ruins are much as I remember them though the woods have grown a lot since I last visited. Still the ruins are easily spotted. 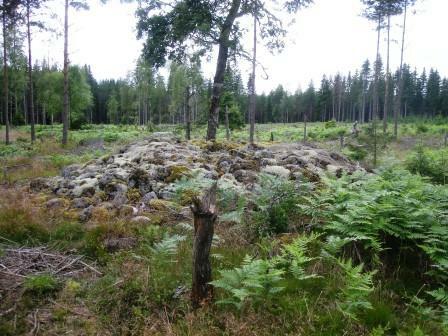 First we went to a square stone setting (Habo 24:1), on the way there is a cairn (Habo 23:1), registred as a remain after cultivation, though in my eyes it looks very much like a prehistoric grave cairn; judge for yourself. It is ca 10 m in diameter and ca 1 m high. 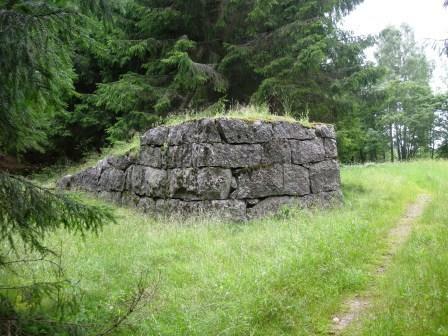 The square stone setting is situated ca 75 m northeast of the cairn and is 10 x 10 m and 0,9 m high. 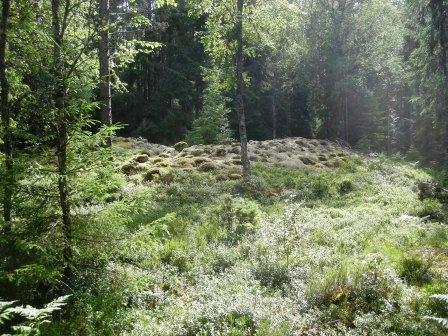 Then we went to the thing/“court place” which in actually is a small grave field (registered as four graves Habo 21:1-4) consisting of one triangular stone setting and four stone circles. 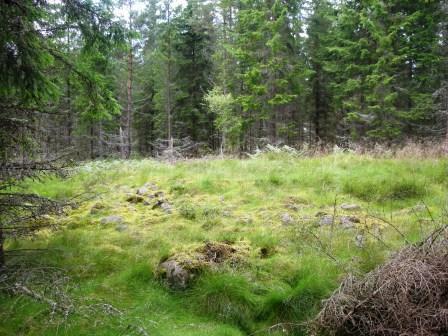 The stone circles are called domarringar (judge’s circles) in Swedish therefore the popular belief that they once where “court places”. 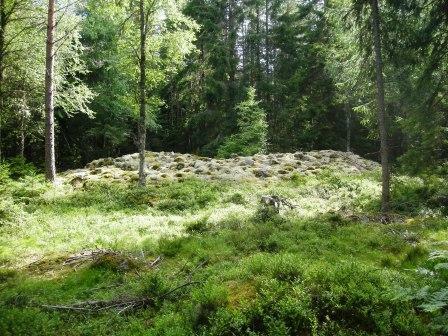 After walking around I believe that grave field probably is larger, several of the nearby small cairns seems grave like rather than cairns from cultivation. The stone circles were difficult to identify and even more difficult to photo so you’ll have to do with triangular stone setting. A few hundred m north of the grave field is the presumed ruins of the church. 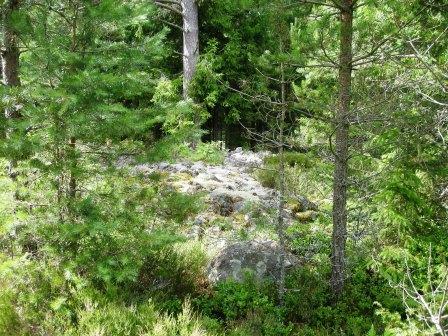 As I had done my homework I knew that is was not a church ruin that awaited me but a large cairn (Habo 19:1), ca 24 m in diameter and 2 m high. Something of the mystery that I experienced as a child facing by stories about these remnants has been replaced by knowledge and facts. It may sound sad to some of the magic and childhood innocence has disappeared but though the fairytales have lost some of its charm I still want to know the story and the individuals behind the remains, be it graves, fossilized fields or ruins – so my way into archaeology was curiosity of the past and that’s still very much case.